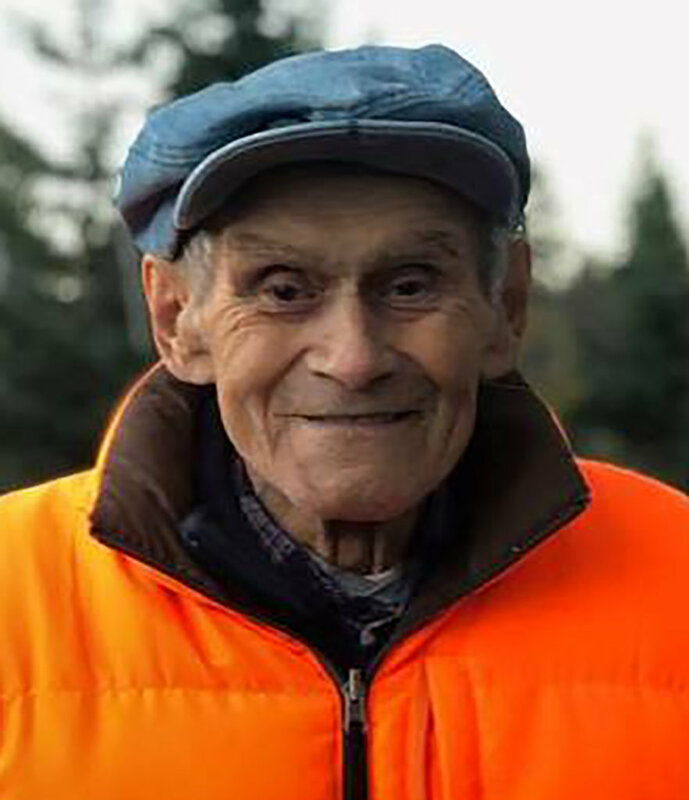 AUBURN — Edward J. Dobransky, 91, of Lisbon Falls passed away peacefully on Wednesday, April 11, at the Hospice House of Androscoggin Home Care & Hospice, with his family by his side. Eddie was born in Topsham on May 8, 1926, a son of Andrew P. Dobransky and Suzana A. Demchak, both naturalized citizens of the United States. His family included five brothers and four sisters, all raised in Pejepscot. Eddie completed grade school in Pejepscot and attended Brunswick High School. Following high school he worked at Pejepscot Paper Company until he was drafted into the United States Army on Aug. 15, 1944. Eddie was a member of the European Theater of Operations in WWII and fought in Germany. He was decorated with the European Theater ribbon and the WWII Victory Medal and was honorably discharged from the Army on April 18, 1947. On Aug. 16, 1947, Eddie married Gisele G. Baillargeon at St. John’s Church in Brunswick. Eddie and Gisele lived in Brunswick, Pejepscot, and in 1964 they made their permanent residence in Lisbon Falls. He attended Catholic church his entire life and was a parishioner of St. Andrew’s Church in Pejepscot, St. Cyril & Methodius Church in Lisbon Falls and Holy Trinity Church in Lisbon Falls. Eddie’s primary occupation was papermaking and he worked at Pejepscot Paper Company for over 45 years. He was a very ambitious and clever papermaker and was promoted to shift supervisor and ultimately to night superintendent of the mill. Eddie always had a second occupation and was a very competent wood cutter and painter. Eddie enjoyed watching baseball, hunting, going out to eat and spending time with his family. He also took great pride in his Slovak heritage. Through his heritage he learned how to safely harvest wild mushrooms. Over the past five years Eddie traveled and visited places he had never seen in his life. He loved being in the woods in Rangeley, hunting with his family and enjoying the trees and fresh air. He particularly enjoyed socializing at camp after the hunt with a good whiskey and a hot meal. Eddie had a special fondness for his great-grandson, Jack Brown. Eddie is survived by his three sons, Dennis L. of Milton, Fla., Mark A. of Lisbon Falls, Jerome F. and his wife, Lynne, of Lewiston; four granddaughters, Hilarie, Whitney, Ashley and husband, Nate, Shelby and fiance, Tyler; one great-grandson, Jack; and a sister, Madeline Beaudoin. Eddie was predeceased by his wife, Gisele; his daughter-in-law, Pat; his parents; and his eight siblings.